Taking care of your mental health for freelancers is as important as in any profession or field of work. If you don’t, bad things happen such as anxiety issues, depression or even burnout. This isn’t news. Mental health issues have been on the rise for a long time, especially among younger people. Today, about 1 in 5 Americans are struggling with a mental illness. While everyone understands taking time off for physical ailments (such as the flu), mental health issues don’t always get the same treatment. Neither from those experiencing it nor other people. However, they are not any different than a broken leg, it just so happens that in this case, the problem is in your brain. For that reason, they deserve the same kind of attention you would give to other issues for which you would see a doctor or take sick days. A group that is particularly at risk are freelancers, the self-employed, and solopreneurs. One of the reasons is because they operate under a less organized work structure. This includes irregular work hours, more responsibility, less job security, and often isolation, especially when working from home. Since a large part of the WordPress community is made up of freelancers and I myself have struggled in this area, I thought it a good idea to share some tips on how to stay sane as a self-employed worker. In the following, you will find ways to take care of your mental health while pursuing your freelance career. Follow the tips below to improve your resilience against stress and stave of mental health issues. The good news is that problems in this area are frequently not the result of a serious health issue but the result of your life gone out of whack. Why is that good news? 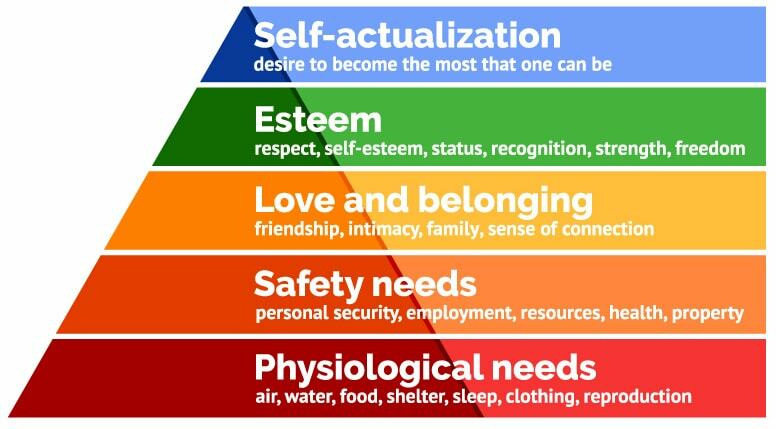 Because much of this is within your control to change and the first thing to do is to check if you meet your basic needs. Especially when you are stressed, it is easy to fall into a pattern where you neglect things like taking regular meals and sleeping. For example, a friend of mine used to mainly live off coffee. Not quite what people would call a balanced diet. In addition to that, if you are at the beginning of your career you might have extra stress because you struggle to make ends meet. If that is the case for you, now it’s time to take action to reverse course. This can mean making a point to actually have breakfast, establishing a set time to go to bed or getting a part-time job to ensure you can make rent. Anything to give you a sense of stability and stop you from constantly operating in emergency mode. Everyone and their situation is different, so it’s important that you figure out which change could make the biggest difference in your life. Establishing a basis to stand on can do wonders for your level of emotional stability. At the same time, the opposite is also true. It’s hard to build a successful freelance business if are the equivalent of a car with an empty gas tank. Physical activity is one of the best ways to burn off stress and excess energy. It also makes you more focused and allows you to feel more comfortable in your body. Besides that, there is a whole host of other benefits of exercise including improving your sleep. For that reason, it is highly recommended that you incorporate physical activity into your everyday life. That doesn’t mean you have to develop a workout regimen like The Rock (because who wants to get up at 4:30 am to go to the gym?). For starters, it can simply mean scheduling an afternoon walk or creating a stretching routine for your morning. Of course, it’s even better if you can make it to the gym, a yoga class or similar. This also has the added benefit of getting you out of the house, which, if you work from there, can stave off cabin fever. There is plenty of evidence on the benefits of meditation on mental health. It reduces stress, helps you focus better, lets you deal with negative emotions more effectively, improves sleep and simply relaxes you. More and more people are turning to it and I am also a big fan. Meditation feels like a warm shower for the mind. For anyone who wants to give it a shot, my recommendation is the Headspace App. It was created by a guy who studied meditation for 10+ years and even became an anointed monk in the process. Headspace was the first thing that ever really helped me understand how to properly meditate. Plus, it has many guided programs for different areas of application such as helping with stress, depression, focus and much more. While you need to pay to get full access, there’s a basic course that teaches you the foundations for free. Highly recommended! Aside from that, you can also find plenty of guided meditation programs on YouTube and books on the topic. Just give it a quick search. As mentioned, many freelancers spend their time in relative isolation. They work alone from home and don’t see other people for long periods of time. This is not an ideal situation. Interacting with others helps you get out of your own head and is an important part of staying sane. For that reason, it’s crucial that you make sure that social interactions are part of your life. This can be as easy as having a support network of close friends and family who will simply listen. Just being able to verbalize what is going on in your life can be enough to ease some of the pressure off your mind. Plus, other people are often able to add different perspectives to your situation that you hadn’t considered yet. If that is not enough, it can also make sense to talk to a professional. Counselors and psychologists specialize in helping people get through mental health crises and can be great to have in your corner. You can find one locally but also get help online. There is even a project for WordPressers struggling with mental issues. So, this can be an avenue as well. One of the hardest things for many freelancers and self-employed people is taking time for themselves. They often feel like everything is hinging on them and they need to keep the plates spinning constantly. Frequently this results in a situation that they pretty much always work. This can take the form of checking emails while watching TV, starting the workweek on Sunday night (if it ends at all), working until late into the night, etc. I have been there. Rest assured, this is not good for your mental wellbeing. Many of these things happen naturally for people who work nine to five. When they leave the office, they automatically leave work behind as well (at least, ideally, in reality not always like that). However, here’s also where you can take advantage of the fact that as a freelancer you are able to set your own hours. So, why not work only half the day for a while? When you take time for yourself, you can recharge and think about something other than work. This will allow you to come back with a fresh mind and new ideas. Also, when you do work, make sure you work smart, not hard. Getting overwhelmed often happens when you feel like all you do is work. However, even when you have set up appropriate boundaries, this can still happen if you arrange your whole life in terms of performance and output. Doing so can make even things that you usually enjoy (including your work) seem like chores. Let me give you an example from my own life. I love going to the gym. Lifting weights is something that I both enjoy and that makes me feel good about myself. However, at some point that wasn’t the case anymore. While I did work out a lot, it didn’t have a such a positive effect on me anymore. Instead, I often felt more drained than refreshed afterwards. The reason was that I had turned working out into another task, complete with scheduling, session planning etc. It had become something to accomplish instead of something I did for myself. As a consequence, I found it less and less enjoyable. A change I introduced at the beginning of this year, made all the difference. Instead of going to the gym with a plan, I started just showing up and then decided what I felt like doing that day on a whim. No pressure, just going with the flow. As a consequence, I started exploring more and only doing stuff that made me feel good. This made all the difference. Soon, the gym was no longer a chore but a place where I could recharge. I recommend you look into your own life to see if there are any tasks that you used to enjoy but no longer do because you have put too much pressure on them. Then, make it a point to turn this around. Aside from that, of course, it’s also a good idea to incorporate additional things in your life that put a smile on your face. This can be things like going to the movies, meeting friends, hiking or whatever works for you. Make a list and be sure to at least one thing every day. Mental health remains an underestimated area for wellbeing and mental health issues are often still stigmatized. However, there is no good reason for it. With the employment world being as it is, it has become a very common issue for many people. Freelancers are especially susceptible to these problems because of how their work life is arranged. However, that doesn’t mean this is outside of your control. Above, we have given you a number of simple strategies you can use to put self-care back in focus. While it will probably take you a while to find the right balance for yourself, don’t fret. If you keep making small changes, in the long run they will add up and make you happier, more productive and your life more enjoyable. Inside and outside of work. What other strategies do you use to take care of your mental health as a freelancer? Let us know in the comments section below! The post 6 Effective Tips on How to Take Care Your Mental Health As a Freelancer appeared first on Torque.